Having worked at a number of top design firms around Louisville, Sara demonstrates design skill far beyond her years. Sara Osborne brings a wealth of design knowledge and experience to 835 E. Main. Having worked at a number of top design firms around Louisville, Sara demonstrates design skill far beyond her years. Sara graduated in 2012 from the University of Louisville with a Bachelor of Fine Arts in Interior Architecture, providing the technical knowledge to match her innate stylistic ability. Sara’s design style is truly unique as she strives to provide her clients with projects that combine both classic sensibility and distinctive pieces tailored to a client’s personality and wishes. When creating design schemes, every page of the artistic playbook is available to Sara, as she is unafraid to use either bold color or inventive textures to bring a customer’s vision to life and provide the full BWD experience. 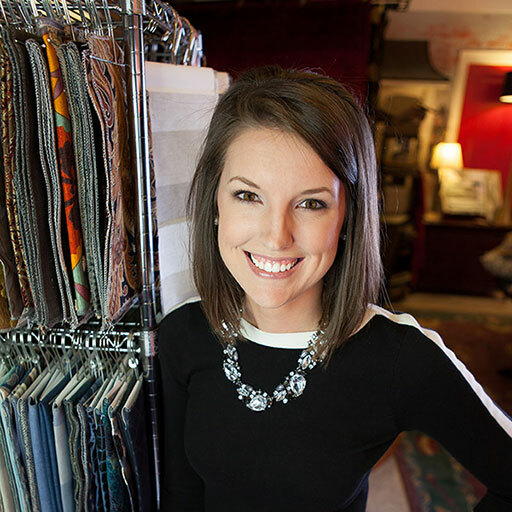 Sara also loves the technical aspects of the interior design process, relishing the opportunity to find the perfect paint, fabric or other finishing touch in order to take her projects to another level. When not working diligently for her clients, Sara’s mind is never far from the interior design world, as she enjoys completing her own home remodeling projects. On the rare occasion that she doesn’t have something on her “Home To-Do List” she loves spending time with her husband, newborn daughter, and dog. The Osbornes love family walks, exploring architectural salvage yards and antique malls, hanging out with friends and family, and of course binge-watching their favorite TV shows.